Looking through the archives here, I realize that I have never fully written about the GORUCK Field Pockets before. I’ve been on a bag organization kick, which I’ll have a longer post about later, so now seems like a really good time to codify what these Field Pockets excel at, and where they stumble. 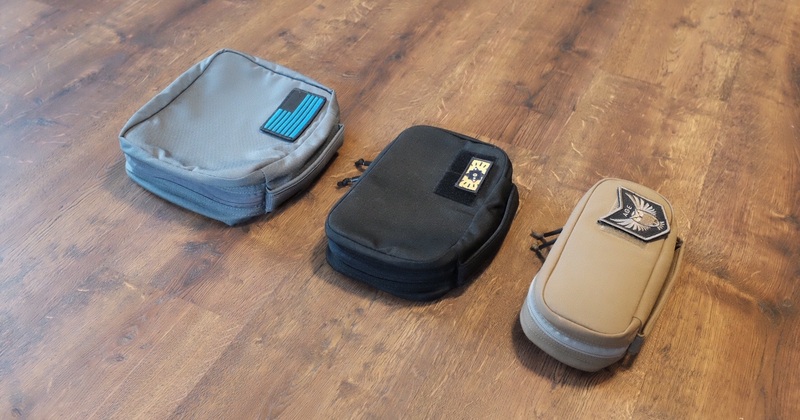 GORUCK makes these Field Pockets in three sizes: GR2 at 4L, GR1 at 3L, and Echo at 2L. The first thing to know is that they will all work in the different bags, so don’t let the naming confuse you, you should buy based on size and intended use. That’s where this post comes in. 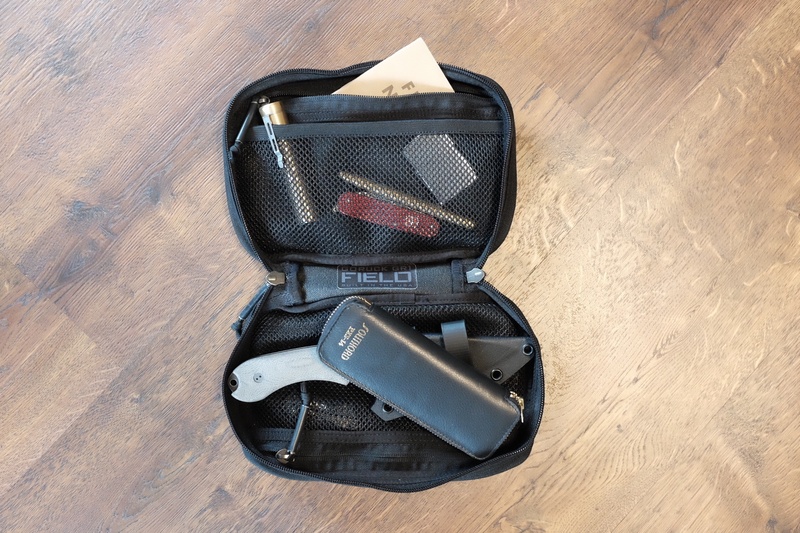 Field Pockets at their core are designed to separate your gear from the main part of the bag. They are also designed to work outside of the bag, so if you need to pull a kit, say a first aid kit, out of a bag to treat a wound, you can do so without spilling stuff everywhere by taking the Field Pocket with you. All Field Pockets have the zipper aligned in the center of the depth of the pocket, so that when you open them, they lay flat, with no side affording more room than the other. This is great for using them as a pocket to work out of, but not so great for keeping lots of loose things inside of. They also each feature three pockets inside. One mesh zippered pocket, and on the other side a zippered pocket with a top-load non-zippered mesh pouch on the front of it. 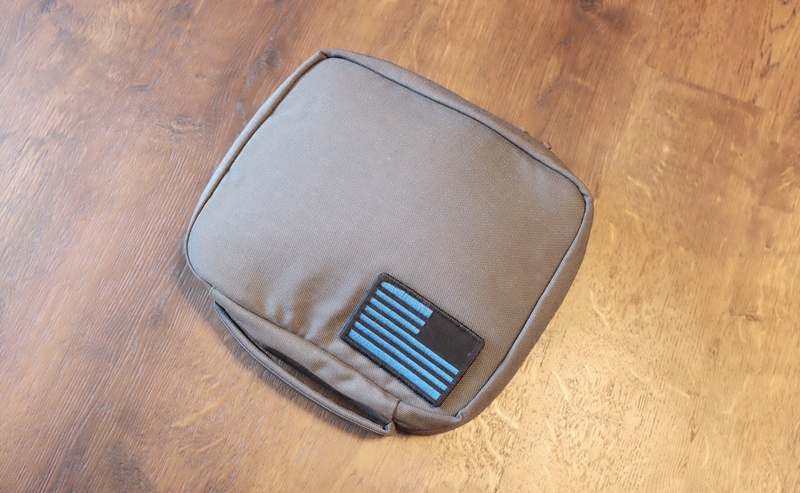 Field Pockets can attach to the internal MOLLE on GORUCK bags, or the external front MOLLE as well. However they are a weaved MOLLE connection and should be viewed as something not easily removed if placed securely on the MOLLE itself. This is great as you know it will stay put, but not good if your intended use is to grab and go. Often I use these unattached. These are not packing cubes for your clothes. While you could pack clothes in them, you would be wasting a lot of space because of the “padded” nature which provides extra bulk to the bag. They are also less ideal as an ‘admin’ style pouch as they offer far less organization than you would want for holding very small items. 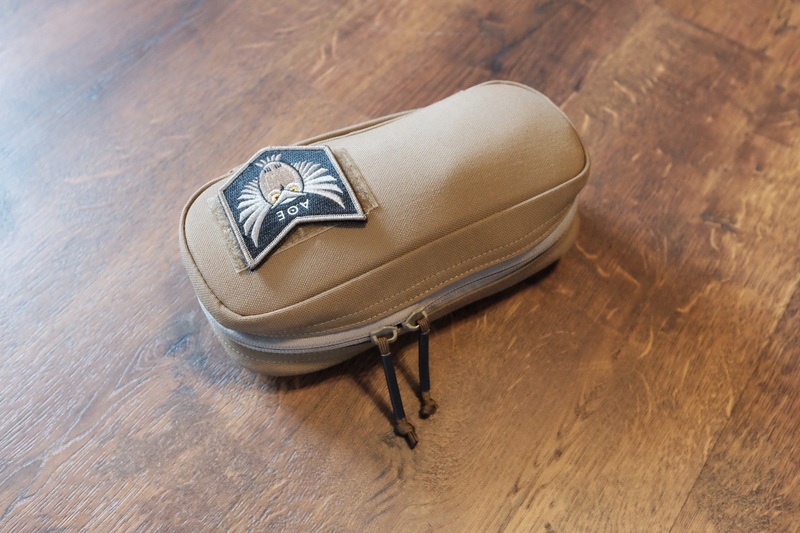 They are also not light weight at all, like GORUCK bags, they are made to stand the test of time. Most people will never need more than 1-2 of these. You cannot fit that many in a bag at once, and anything smaller than a pen is not well organized inside a Field Pocket. 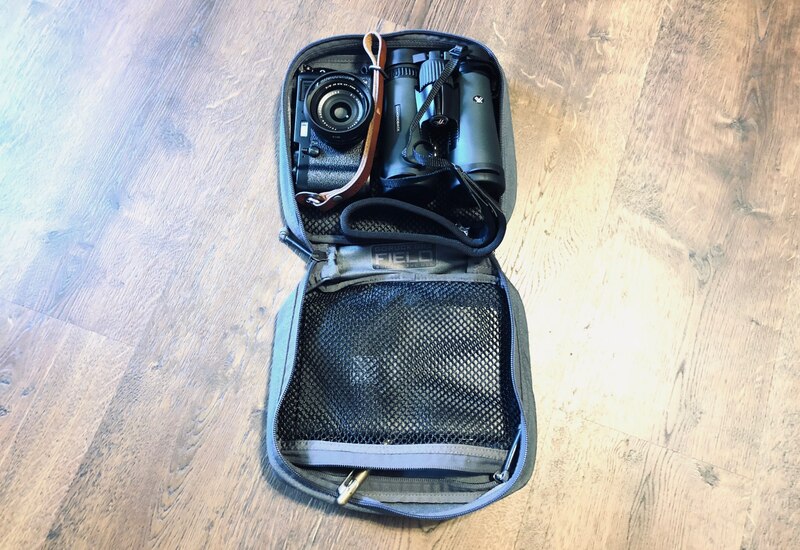 This is the biggest Field Pocket of the lot and is ideal for holding camera gear. It’s much too large, and affords too much wasted space to make for a good electronics kit, but if you have some bulky items which you want to protect, this is a very good option. It’s roughly 3.25” in depth and a square 9.25” footprint. It sounds small, but you’ll find that it takes up a substantial amount of your ruck. The upside of this pouch is that it is large enough to hold a lot of stuff, and can be easily carried by itself. The downside is the complete lack of additional organization. Basically: you can cram the pockets full of stuff, but not easily get to any one item in those pockets. If you leave stuff out of the pockets, it’s going to go everywhere when you open the pocket later. I like the GR2 pocket a lot, but of all the Field Pockets I have, I only have one of these for a reason. It’s simply too large for most of what I do, especially if you pack in a GR1 or smaller bag, as it takes up too much room. The GR1 Field Pocket is perhaps the most popular Field Pocket GORUCK sells, and is one I own at least half a dozen of. 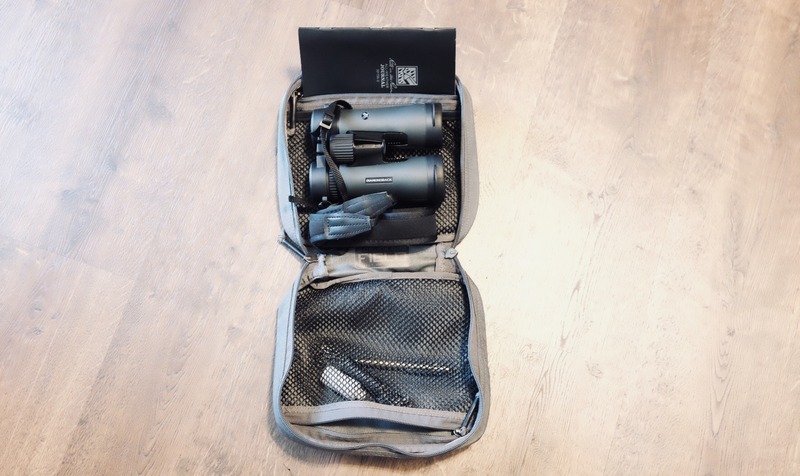 So yes, I find these useful, but like the GR2 Field Pocket they are limited in what they are useful for. The measurements (internal) are roughly 9” x 6.5” x 2.33” it’s all around smaller than the GR2, but visually it looks only less deep/tall than the GR2 Field Pocket. As you can imagine, the upside here is that this pocket can still hold a great deal, while taking up substantially less space in your bag. 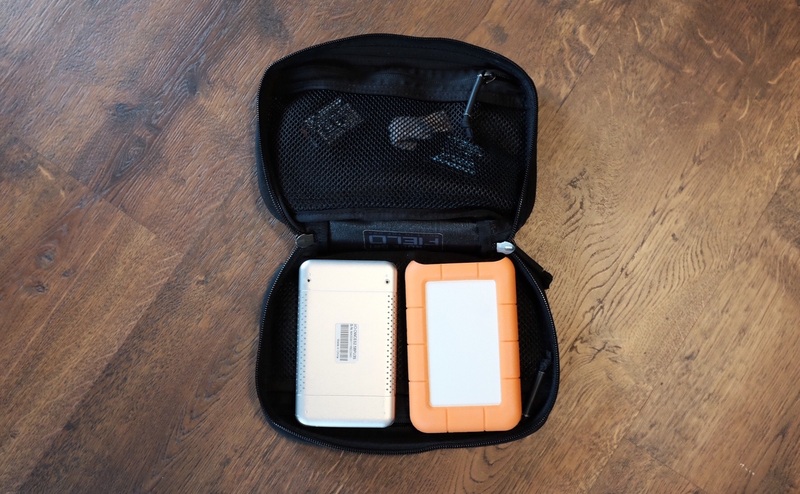 I’ve found that the GR1 is my go to when I need to pack a lot of cables, or I need to have some kind of tool/survival kit, or anything of that nature. In the past I also used this as a Toiletries bag, but have since changed to another pocket for that. Either way, it is perhaps the most versatile of the lot. The internal pockets are big enough to be useful, but not so big as to create more clutter and bunching of items. At the same time this Field Pocket is usually just big enough to get what you want in it. 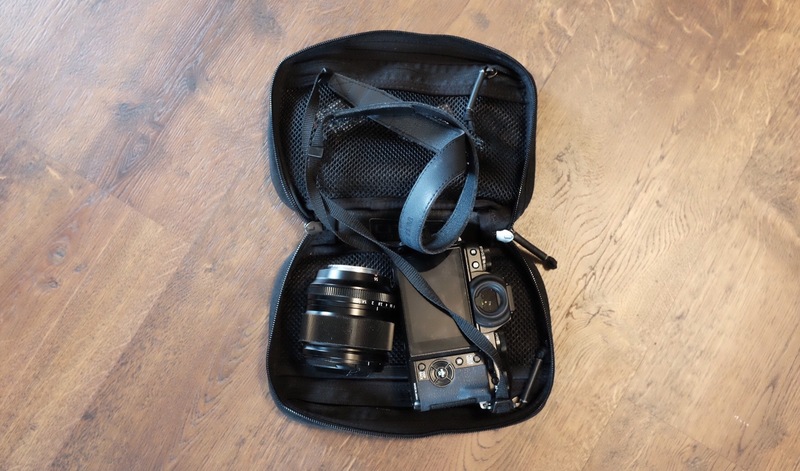 Mirrorless camera users will really like it for a compact camera pouch. Overall, this is where you should start. It offers the best sizing of all the Field Pockets and fits the largest variety of gear. The smallest of the bunch is the Echo Field Pocket, which continues the trend of sizing down in only one dimension. The Echo is a long and skinny Field Pocket with interior dimensions of: 9” x 4” x 2.5”. This is also one of the most underrated Field Pockets of the lot, and one of my favorites. What’s nice about this Field Pocket is how much it holds — which is always more than you assume. It also takes up substantially less space than the others. 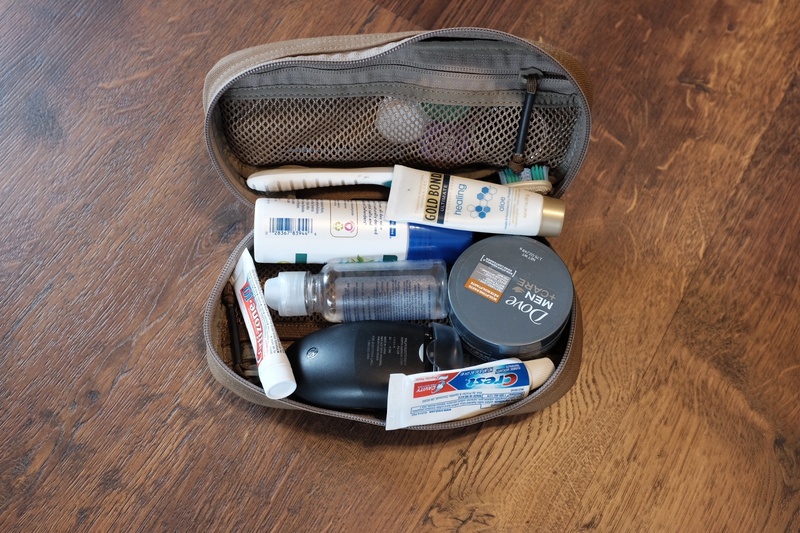 For quite some time now the Echo Field Pocket has been my Toiletries kit, holding exactly what I need, and keeping my gear tidy and out of the way. 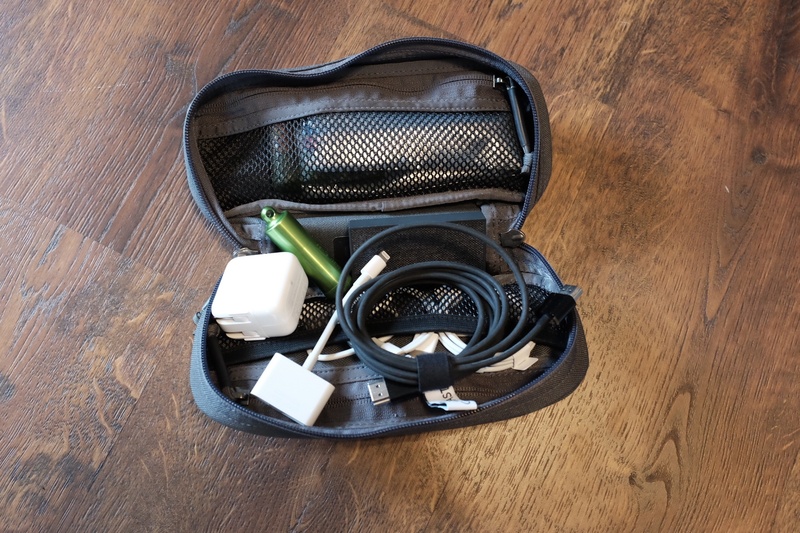 I bought a second Echo Field Pocket for general purpose use, which finds itself bouncing from bag to bag with either cables, or small outdoor kits. I’ve also used one of these to hold coloring supplies for my kids, which worked quite well. Overall, the Echo Field Pocket is one of my favorites, but it is a tricky size. The internal pouch pocket is borderline useless, and the long shape means you’ll be frustrated from time to time trying to fit things into it. It’s hard to find better made organizers, but these are light on the organization end of the spectrum. The big downside is the “padded” nature of these pouches, the handle and the MOLLE attachment, add significant bulk to the pocket. 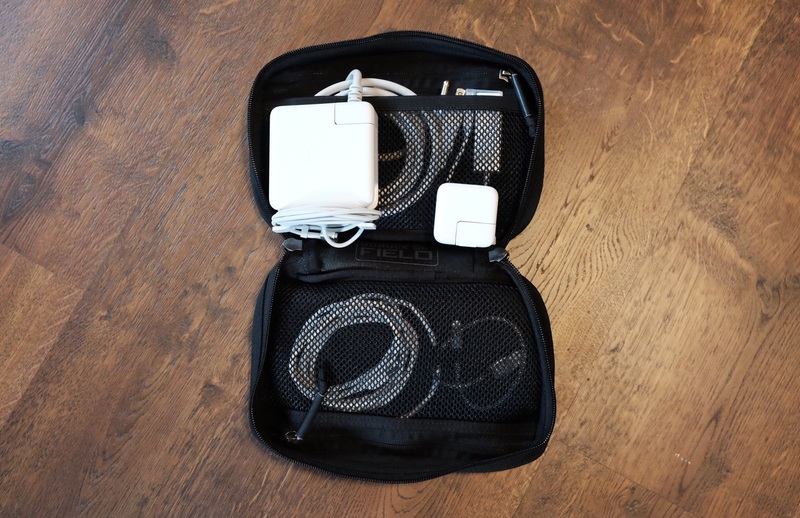 Even so, it’s quite useful for organizing gear inside, and outside of a bag. I often toss these into duffle bags when I travel. The upside is that whatever you put in a Field Pocket will stay in it, and be safe in it. The ability to attach one to the outside of your pack in a pinch is also very nice. While I recommend these, like all organizers you should buy not based on brand, but based on what you need to store in them. And start with the smallest possible one you think will work for you. Buy GR2, GR1, Echo Field Pockets. Note: you may find references to two other types of GORUCK pockets. The first is the “Simple” pockets which are the same shape as the Field Pockets, but only a single layer of material, no MOLLE, and no thrills. If you find one for a decent price, buy it, or send me the link so I can buy it. They are great. There’s also ‘Shooter’ pockets which are the same as Field Pockets, except they replace the MOLLE on the back with the hook side of Velcro. 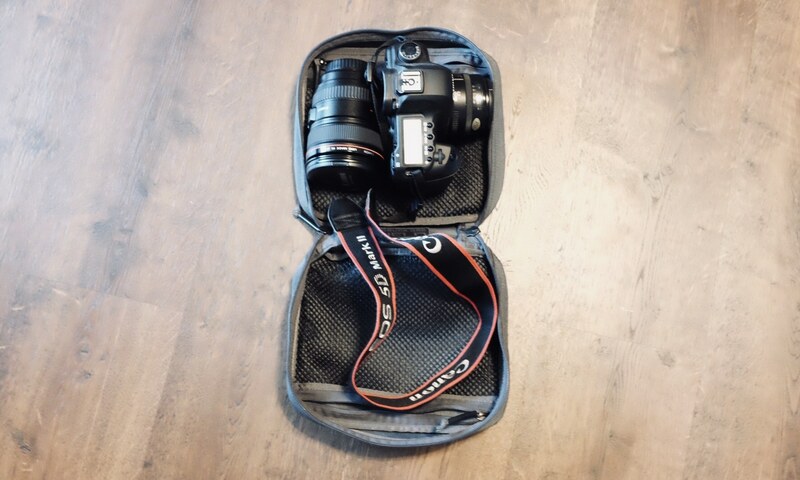 This is a specialty product for the GR1 Shooter bag, or the GR3. My long term thoughts, and comparisons of the three Field Pockets.